Bishop Christopher J. Coyne is the 10th bishop of the Diocese of Burlington. Born June 17, 1958, to Rita and the late William Coyne of Woburn, Massachusetts, Bishop Coyne is the middle child of seven – three older brothers, three younger sisters. In 1981, two years after graduating from the University of Lowell, he entered St. John’s Seminary, in Brighton, Massachusetts. Learn more about Bishop Coyne’s life, education and ministry as bishop and priest by reading his full curriculum vitae. Browse Bishop Coyne’s blog, “Let Us Walk Together: Thoughts of a Catholic Bishop,” at bishopcoyne.org. 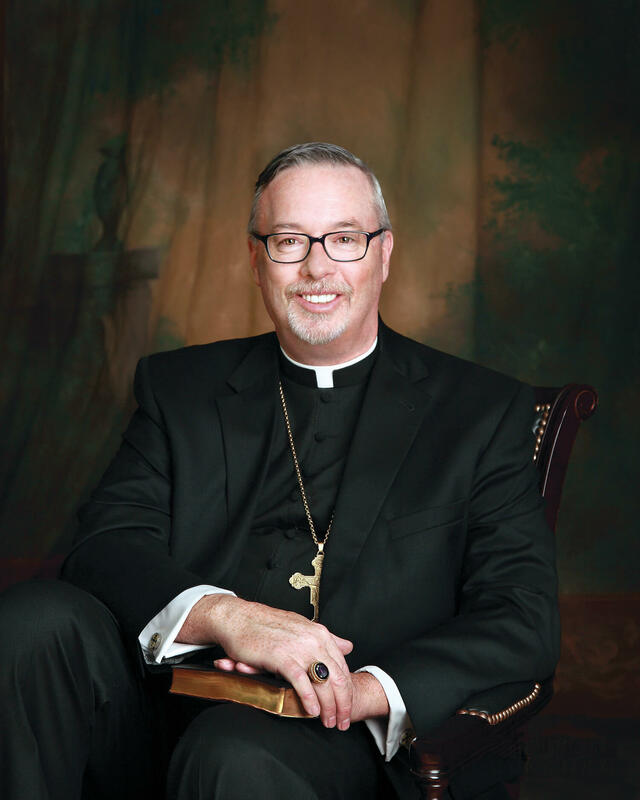 In addition to the written blog, Bishop Coyne’s website includes videos and photos from his installation as 10th bishop of the Diocese of Burlington, podcast recordings, social media links and other Catholic resources. Statements issued by Bishop Coyne are published through Vermont Catholic Online News. In the spring of 2017, Bishop Coyne announced plans to convene the first Diocesan Synod in Vermont since 1962. Its purpose is to establish a pastoral plan for the immediate future of the Catholic Church in Vermont and to establish particular laws and policies to do so. Read about the synod process and proceedings.